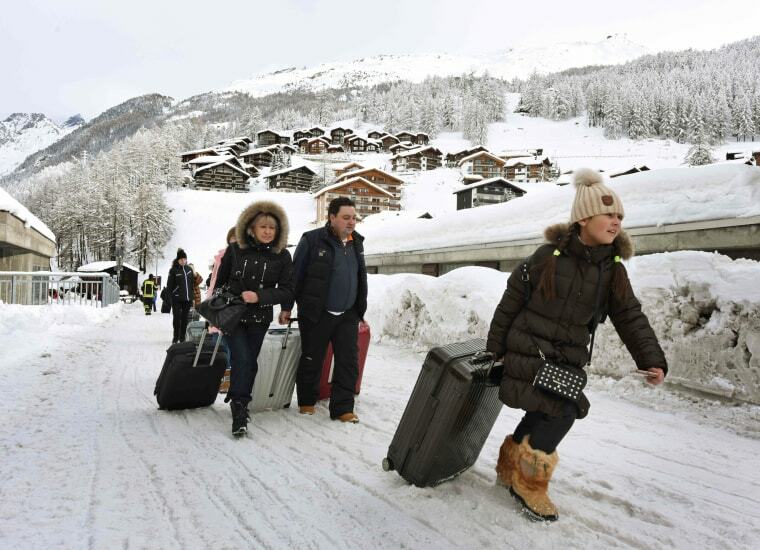 Train service resumed in Zermatt after two days in which the Swiss resort was only accessible by air. 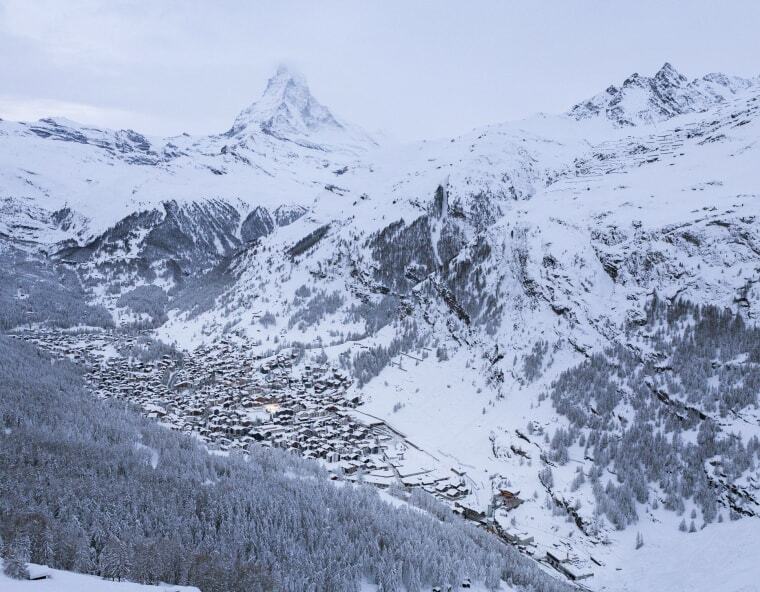 The famed Matterhorn peak looms over the resort town of Zermatt, Switzerland, on Jan. 10. 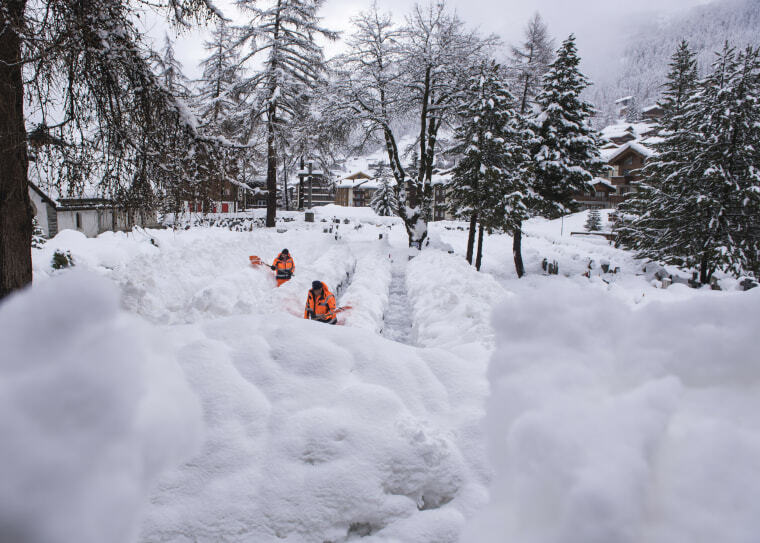 More than 39 inches blanketed the region over a one-day period, coating railways and roads and stranding some 13,000 tourists. 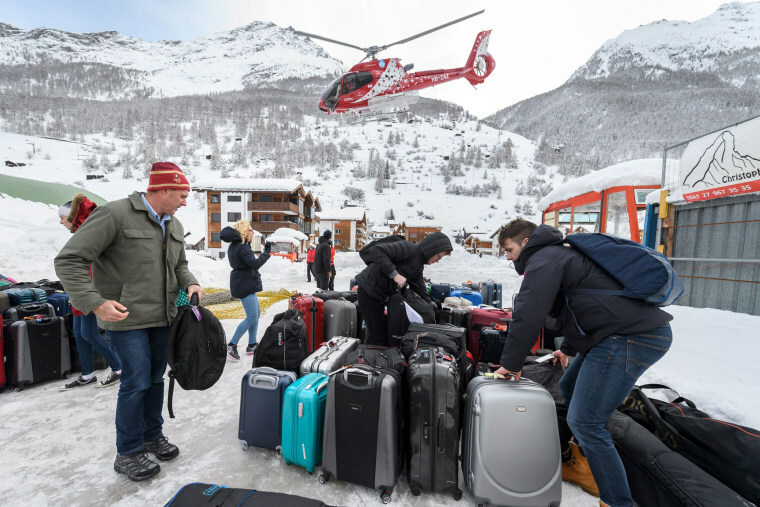 Tourists arrive in Taesch after evacuating from Zermatt, just a few miles away, by helicopter on Jan. 10. Railway service had been halted for two days because of avalanche risk but resumed later on Wednesday. 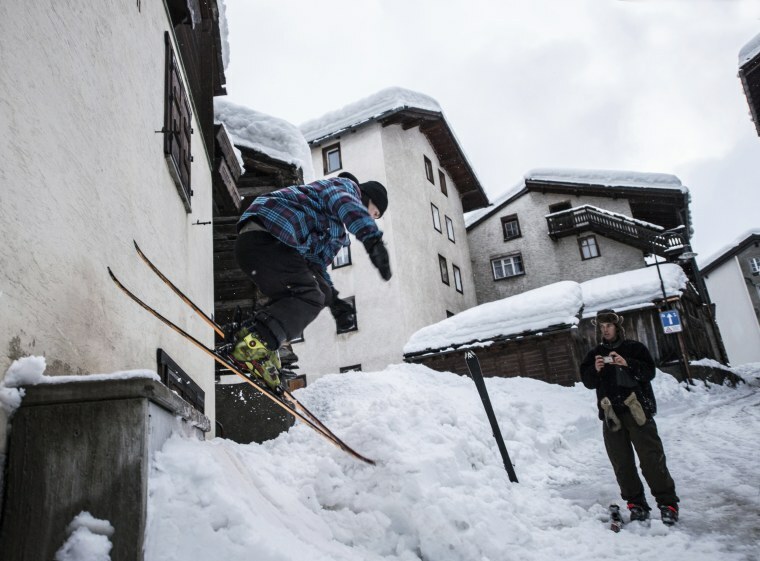 Viktor Perren with Air Zermatt holds explosive material in his hand before throwing it out of the window at the ski resort "Sunnegga" in Zermatt on Jan. 10. 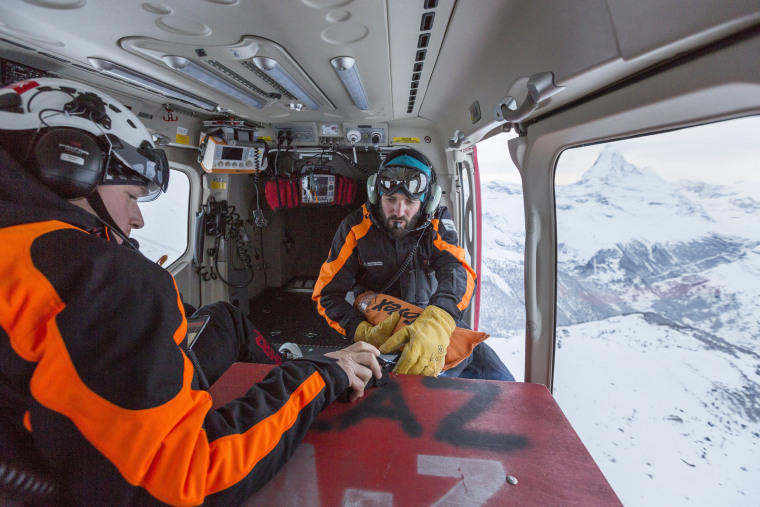 The explosives will trigger controlled avalanches to release snow buildup. 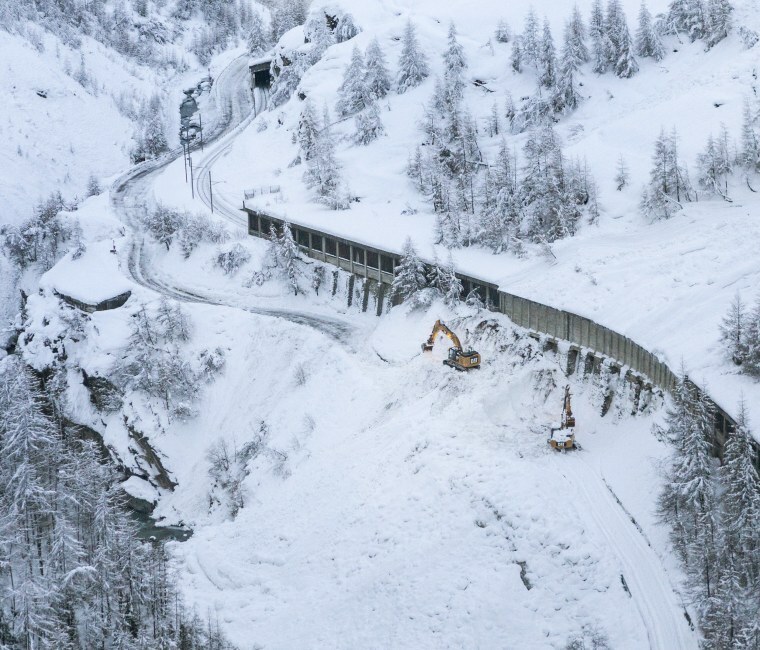 An excavator clears snow where an avalanche has blocked the road between Taesch and Zermatt on Jan. 10. 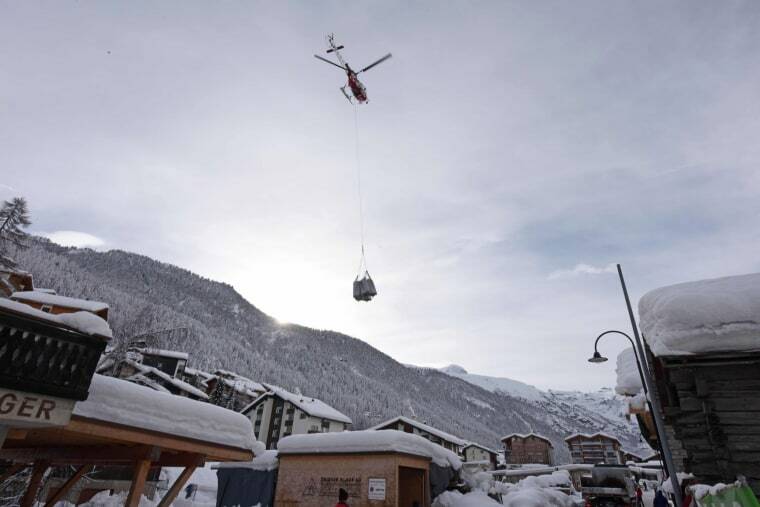 A helicopter brings in fresh linen for hotels in Zermatt on Jan. 10. Tourists make their way to the heliport prior to their evacuation by helicopter on Jan. 10. 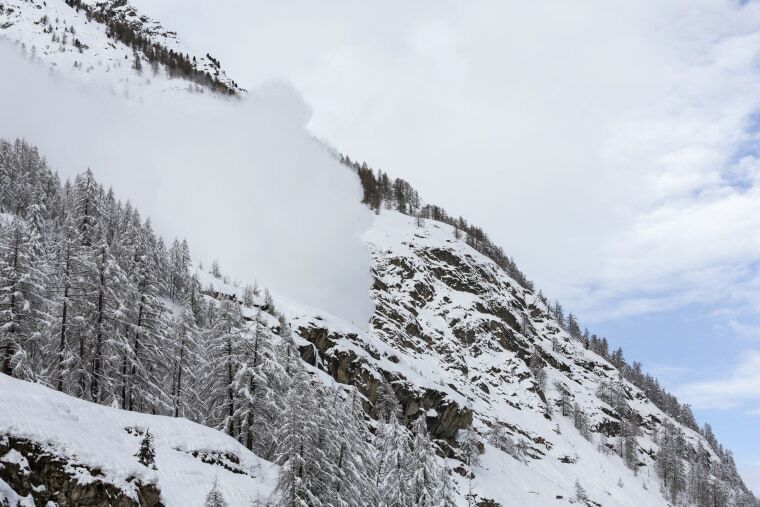 A snow cloud rises from an artificially-triggered avalanche in Zermatt on Jan. 10. 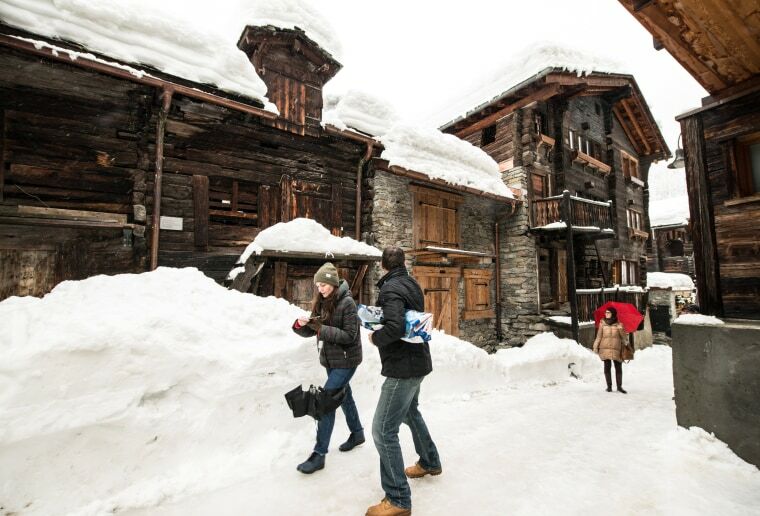 Tourists walk through the village on Jan. 9. Young skiers enjoy the snow on Jan. 9. Some visitors were more upset that nearby ski slopes were closed than getting stranded in the posh, picturesque resort town. 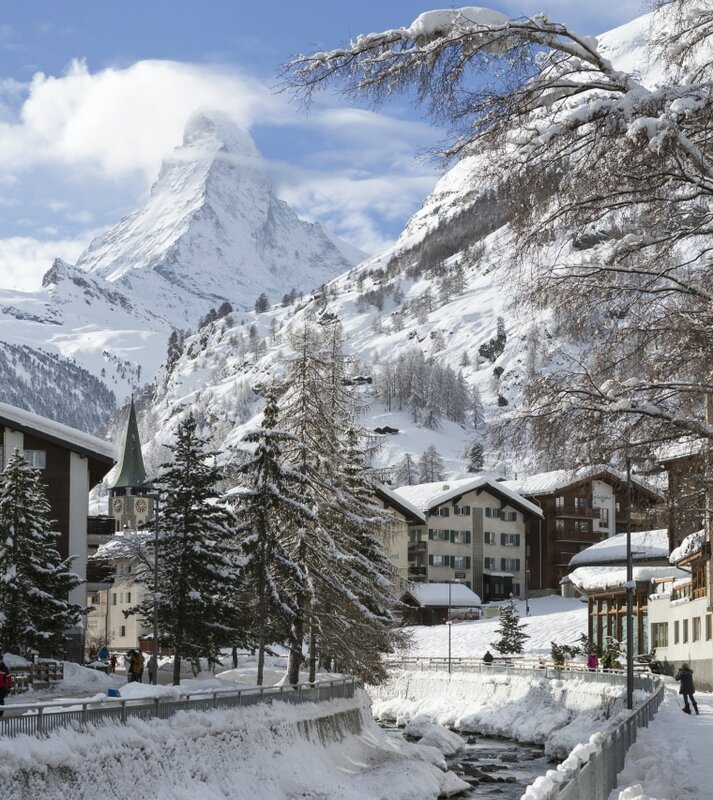 Workers remove snow off a path in Zermatt on Jan. 9. 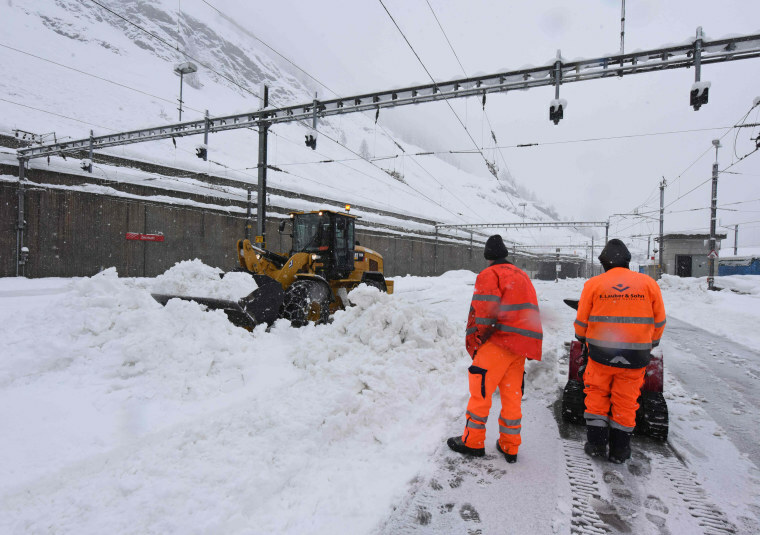 Workers clear snow from the railway tracks at the Zermatt station on Jan. 9.